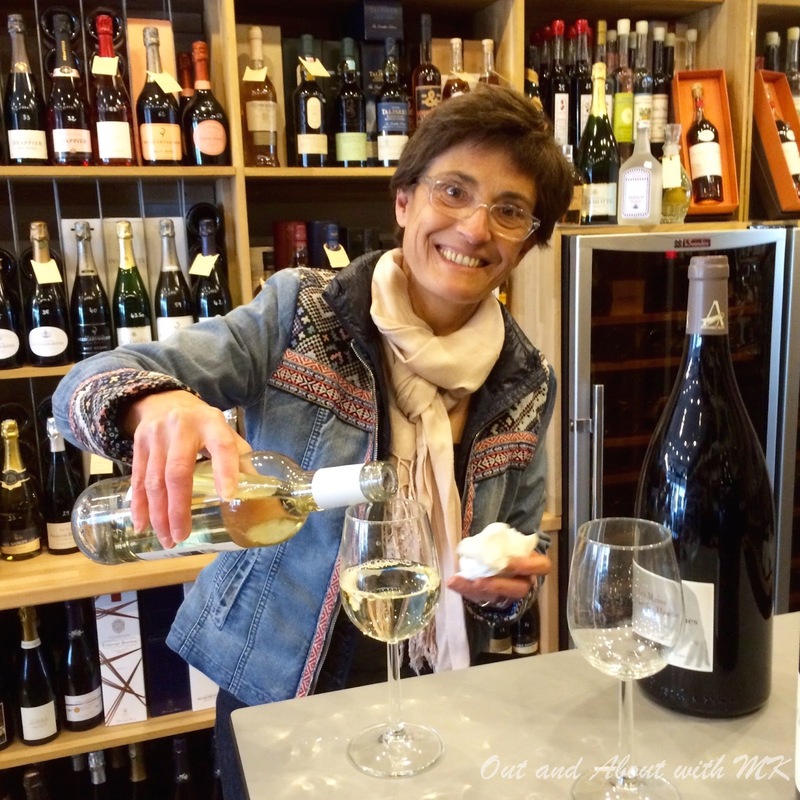 Isabelle at Les Petites Domaines is both charming and very knowledgable about French wine. Two of my favorite topics are food and travel, so it didn't take me long to answer an enthusiastic "yes" when the CzechTourism agency asked if I would be interested in co-hosting a 45 minute Twitter chat about Culinary Travel while I was in Paris. The questions posed by the tourism agency, particularly the one about my favorite kind of culinary experience (food tour, wine tour or snacking?) while abroad, caused me to reflect on the various food and wine tours I've taken over the years. My mind was still firmly focused on the joys of food when I received a text message from Elodie, my friend at the Paris Tourist Office, suggesting that I meet with Martin Herbelin, one of the three co-founders of Le Food Trip, to hear about their newly launched "Tasting Passport". Talk about serendipity! The concept is simple. After purchasing a Tasting Passport online, visitors use easy-to-read maps to conduct self-guided tasting tours of three different regions of Paris. In keeping with their goal to make the city's best food and drinks easily accessible, the Tasting Passport includes coupons for 12 tempting products. Unlike traditional food tours led by a guide, passport holders have the flexibility to decide when and where they would like to begin their culinary adventure. My journey got off to a wonderful start with a warm welcome from Isabelle, the owner of Les Petits Domaines in the 7th arrondissement. Passionate about small wineries, Isabelle used a map to show me the main wine growing regions of France before offering me a glass of Le Clandestin Sauvignon from the Languedoc-Roussillon region. As I sipped my white wine, Isabelle offered some advice for selecting a good bottle of French wine and told me about her visits to the Champagne region. The convivial experience reminded me of how much I always enjoyed talking with local shopkeepers when I lived in Paris. Unfortunately, many tourists never have the opportunity to interact with French people because they're too intimidated to enter a small store in a foreign city. The Tasting Passport effectively breaks down those boundaries. "Magnifique" Merveilleux are little bites of happiness! 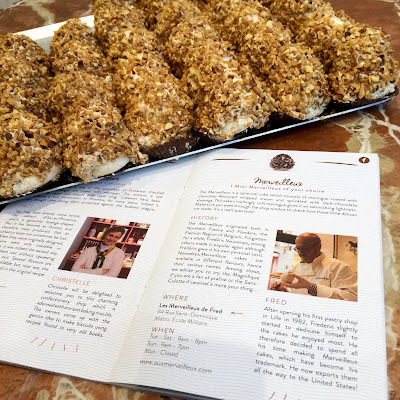 This would be a good time to confess that I almost skipped two of the four tastings in the 7th arrondissement because Calissons and Merveilleux have never ranked high on my list of must-eat foods in France. That would have been a big mistake because the French founders of the Tasting Passport have done an excellent job selecting the best spots to sample the city's culinary treats. I liked the Le Petit Duc's Calissons so much that I bought several packs to take as presents when I go to the USA next week. A big box of Merveilleux would have also ended up in my suitcase but I didn't think that the delicate meringues would travel well ... and there's a good chance that they would have proven too hard for me to resist! Given the miserable weather while I was in Paris, I'm thankful that the Tasting Passport gave me the flexibility to plan my outings so that I wasn't trudging around the city in the rain. Even though the sky was still overcast when I pushed open the door of Maison Brémond 1830, the atmosphere inside the store was as sunny as the region for which the store is named. After learning about the three different types of olive oil, I was invited to sample a flavorful one perfect for drizzling on carpaccio and a more mild one that pairs perfectly with roasted vegetables and meat. Best of all was the entertaining exchange I had with the shopkeeper who generously shared several French cooking tips and helped me select some lightweight items (Herbes de Provence and Tomates en Poudre Fin) to take back to Prague. The Tasting Passport, which is valid for three months, includes a glass of French wine, foie gras from Aquitaine, crispy cookies from Aquitaine, a cup of coffee at one of the trendiest spots in Paris, charcuterie from Aveyron, Calissons from Provence, a pot of jam, one of the best croissants in the city, a tasty Financier, Comté cheese, a sampling of olive oils from Provence and a Merveilleux. Insider's tips: try to time your visits during off-peak hours so that the artisans have more time to tell you about their products. If you've ever had a question about French wine, cheese or charcuterie, the Tasting Passport gives you access to experts who can answer it. Don't be shy! Get Tasting Passports for the entire family and let your children plot out your itinerary on the map. 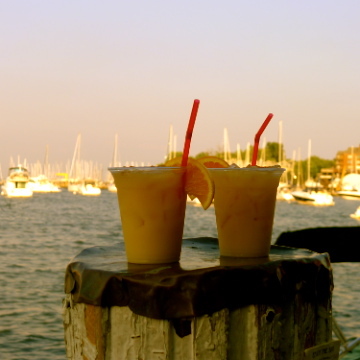 Delicious culinary treats will be their reward for leading you to the right destination. 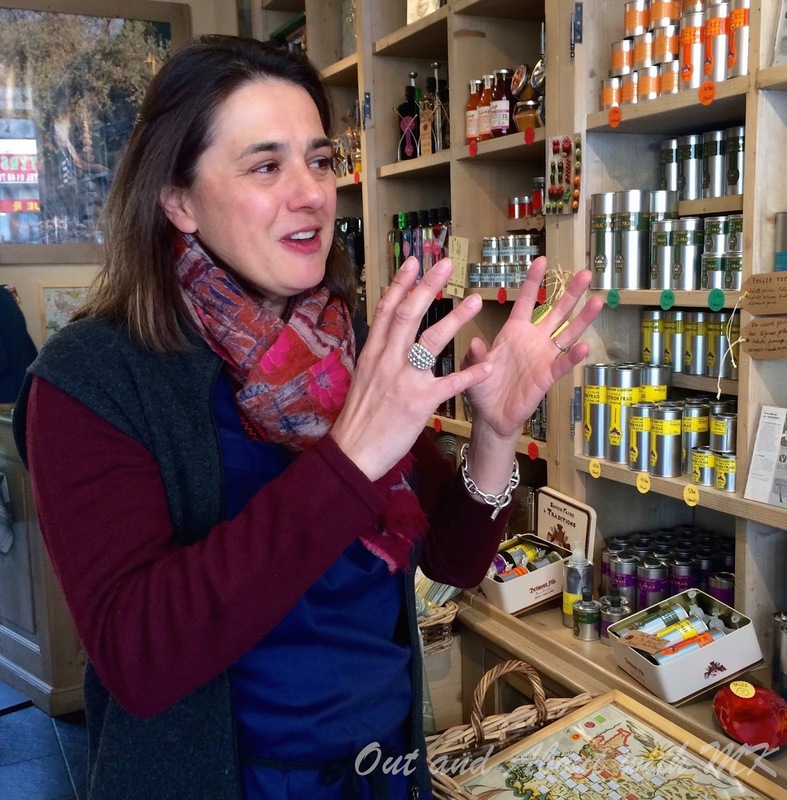 I spent a delightful 30 minutes learning about olive oil and other regional products at Maison Brémond 1830!